This signed picture dating from 1988 features both Yoko and Sean. This small leaflet advertising an exhibition in Germany in 2006 is signed on the reversed in clear black pen by both Astrid Kirchherr and Cynthia Lennon. Allan Williams was famously the man who gave the Beatles away, their first manager who got them out to Hamburg. 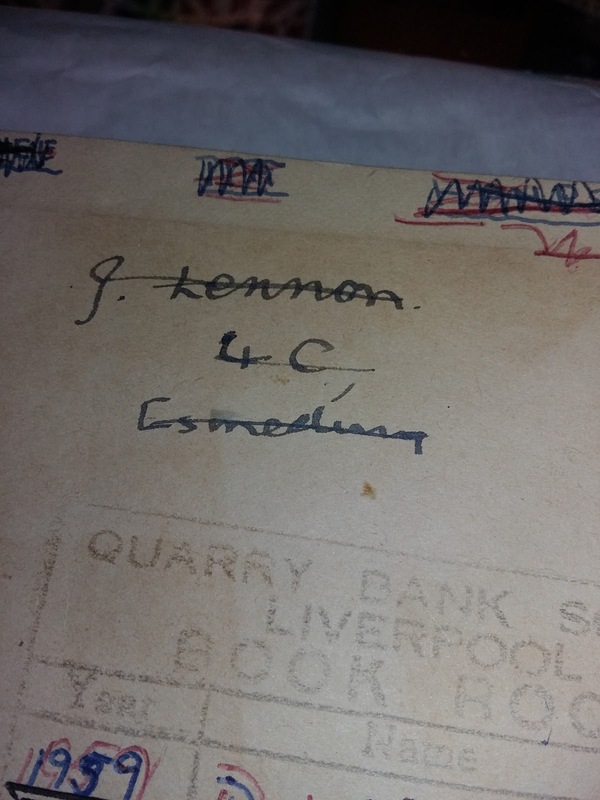 This autograph is on the reverse of a leaflet advertising the 1988 Imagine documentary about the life of John Lennon. It's amazing what you can find in a charity shop. 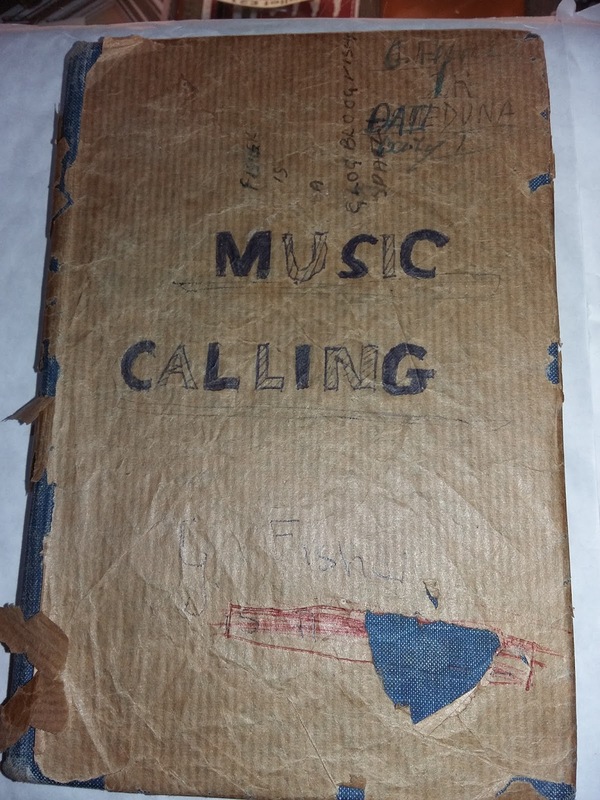 The vendor for this item picked up this music textbook in a Liverpool charity shop for just 20p. 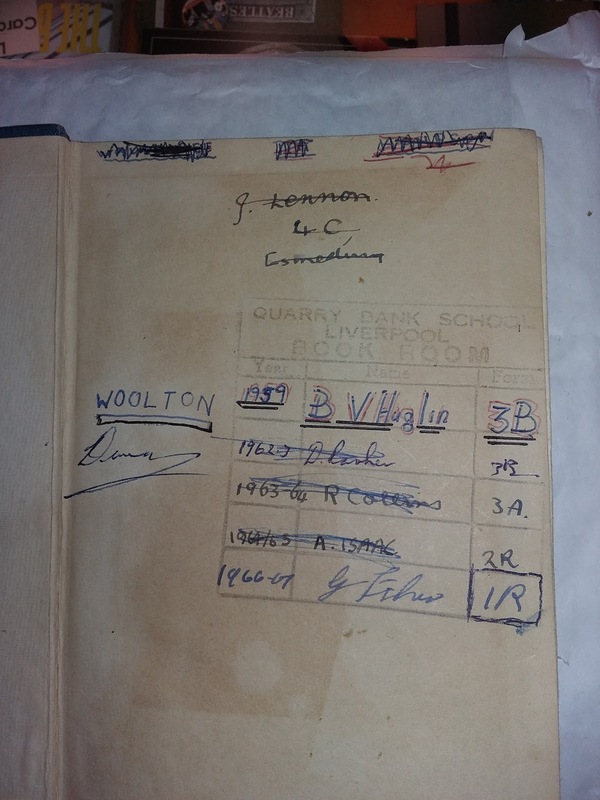 The book is stamped Quarry Bank School Book Room and the very first name in the book is a certain J Lennon of form 4C, who would have been around 14 or 15 at the time. The vendor has had this early signature verified by an expert before bringing it to us for auction. What is interesting is that the book passed through the hands of a few more pupils at the school, including some at the height of The Beatles fame before it found its way into the charity shop. It proves it's worth taking a good look through books and the like in these places as you never know what may turn up!